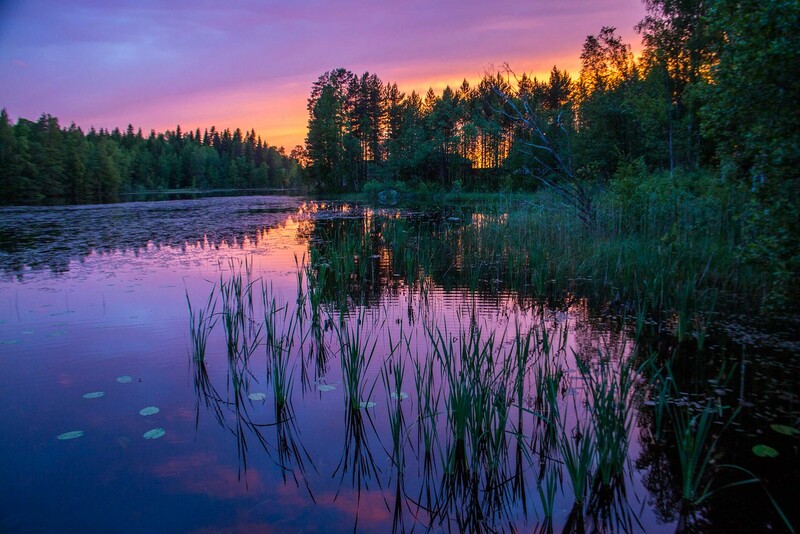 10 Stunning Images Of The Midnight Sun in Finland & How To Visit! 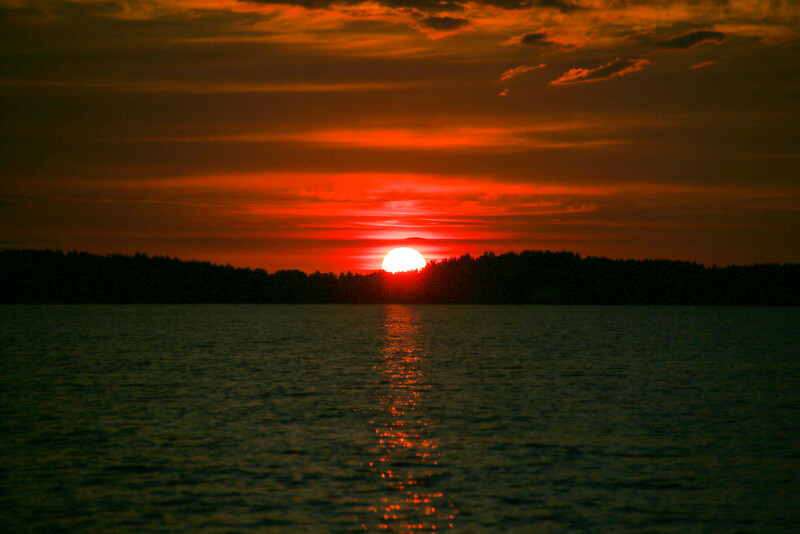 Welcome to the land of the midnight sun. 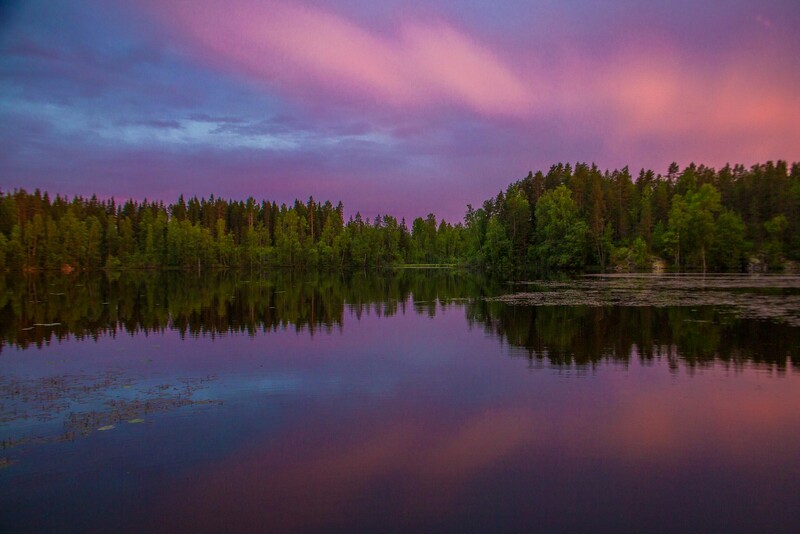 Lake Soukkio, a little piece of tranquility and heaven in the heart of the Finnish Lakeland. When Barry and I were invited to experience the midnight sun in the beautiful central lakeland of Finland, we were so excited for the opportunity. We were intrigued to learn more about Finland, a whole new destination for us! We had some expectations about the nature and beauty of Finland, but we had no idea it would look this good. It literally took our breath away! Not only was it simply stunning, but we also felt an immediate sense of calm and peace here. We knew we were going to have a really relaxing time, which was just what we needed after a busy few months of wedding film shoots! And chill. Ever heard of the golden hour? Well you probably have if you’ve spent any time talking to Barry. Experiencing the midnight sun for the first time is really special, and gives you an incredible amount of energy to stay up late and enjoy every last drop of it. The only downside is trying to wake up the next morning, which is difficult enough for us anyway! We couldn’t put our cameras down! The sky would literally change colour ever few minutes and looked better every time! It was like an ever evolving piece of art that we couldn’t take our eyes away from. 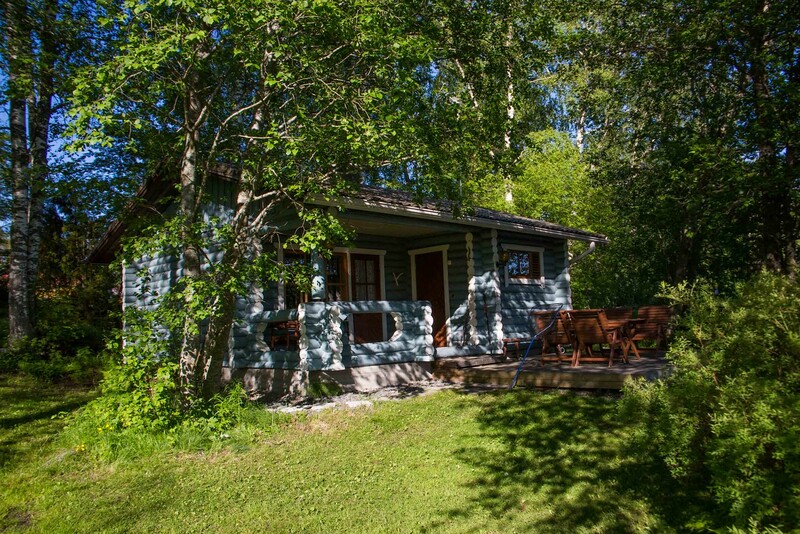 Experiencing this made us realise why most Finns flock to the Lakeland to celebrate their midsummer holiday, and luckily we got to try it out for ourselves by spending a few days at the lovely ‘Kotiranta’ cottage by quiet Lake Soukkio. Just one of many cottages owned and managed by the excellent Rock and Lake. Our cottage was fantastic. We had great self-catering facilities, a private sauna (another popular Finnish pastime) and our own pier/lakeside area. 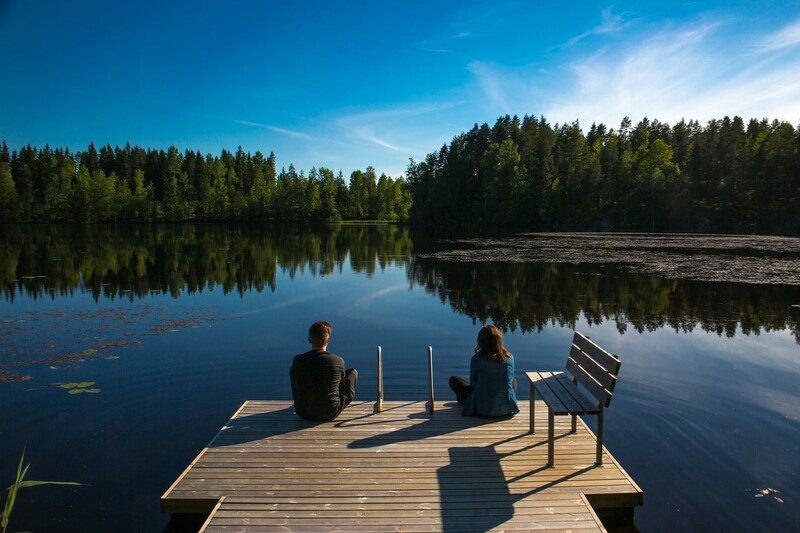 It really was an idyllic spot to soak up the fresh Finnish air whilst enjoying the stunning natural beauty of the lake. We only wished we had a little more time there, even if just to take another couple of fishing trips in our little rowing boat. There are so many lakes to choose from in the Lakeland area of Finland that it’s easy to get a cottage and piece of land all to yourself! 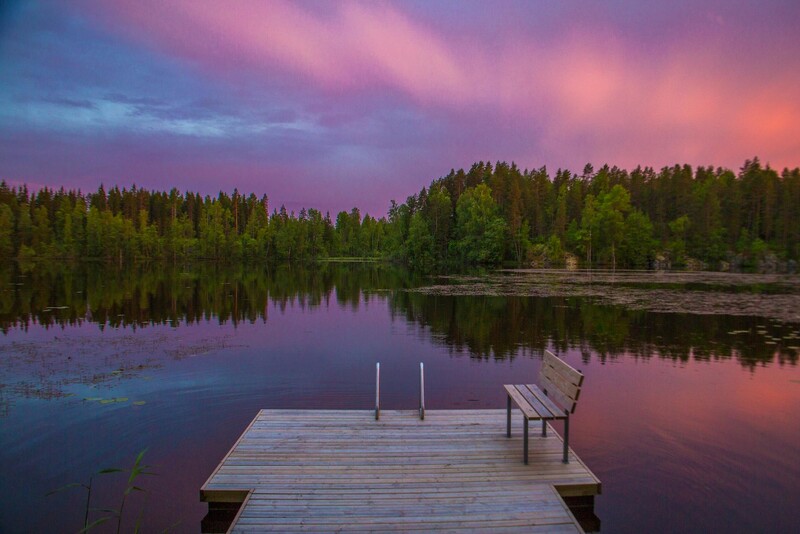 There are many great outdoor activities to enjoy here, from relaxing in a traditional Finnish sauna (we loved this!) 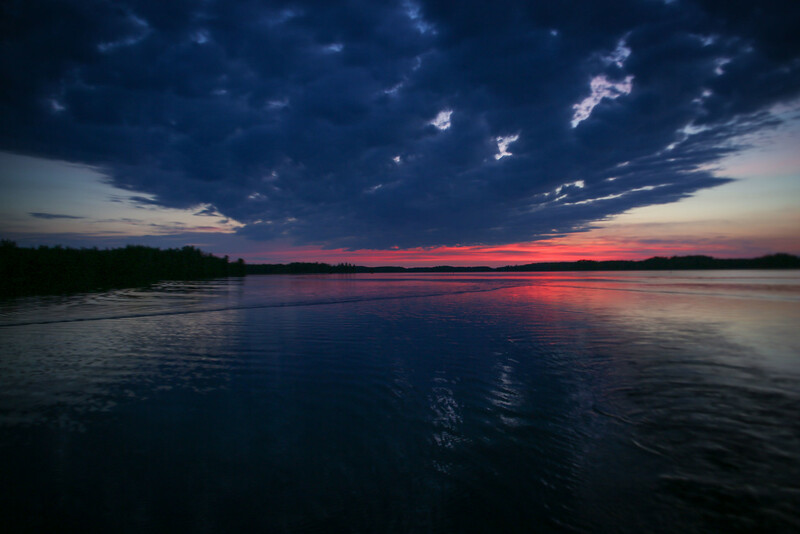 to canoeing, swimming, golfing or taking a fishing trip around the beautiful lakes. You can read more about our epic midnight sun fishing trip here! A drive around the local area will also reward you with some more beautiful views of the many small islands dotted around the vast Lakeland. We met some wonderful people and felt very welcome during our stay in the Finnish Lakelands. We found the local Finns to be particularly friendly, warm and in tune with the British sense of humour, which is not always easy to find when travelling abroad! Oh and the water from the tap is deliciously fresh, perfect for a good cup of tea after a day out on the lake! 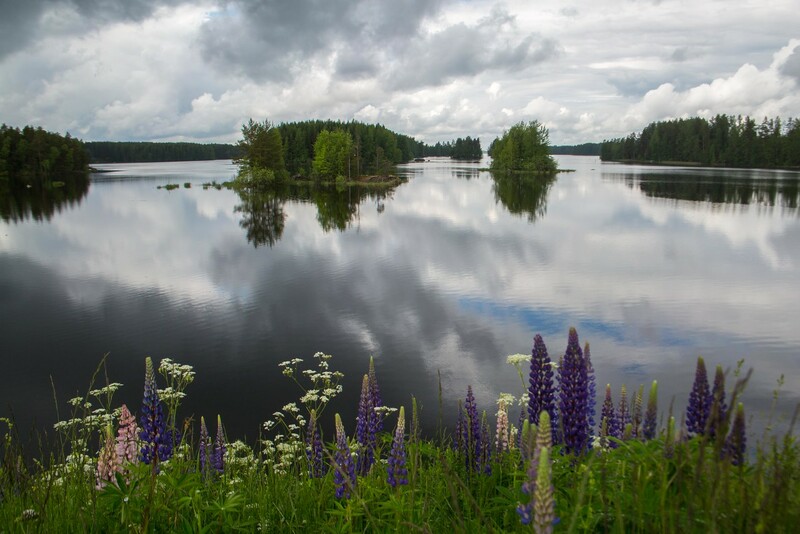 Planning Your Trip to the Finnish Lakeland! Rock and lake currently offer over 20 cottages (soon to be more!) 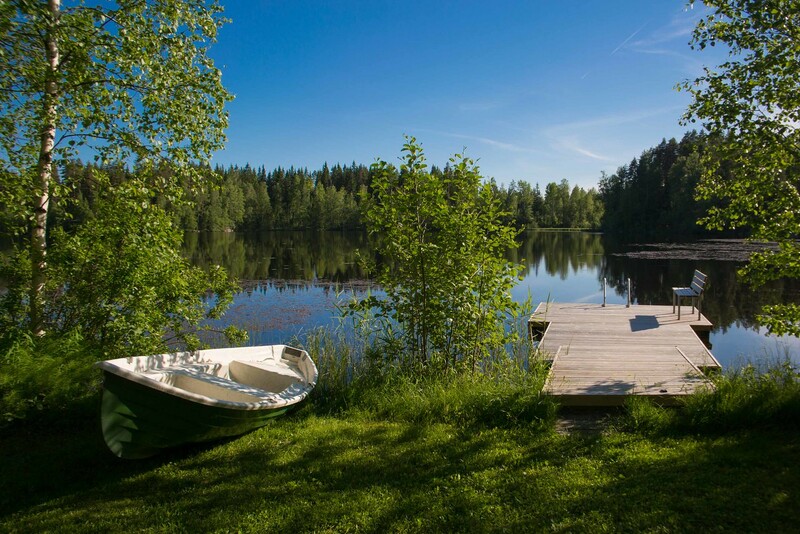 for rental in and around the Finnish Lakeland area so we highly recommend them as your first stop to finding your idyllic lakeside spot! Remember they can also help you to organise activities in the local area, so if it’s a spot of fishing or even just a boat trip you’re after, get in touch with them. 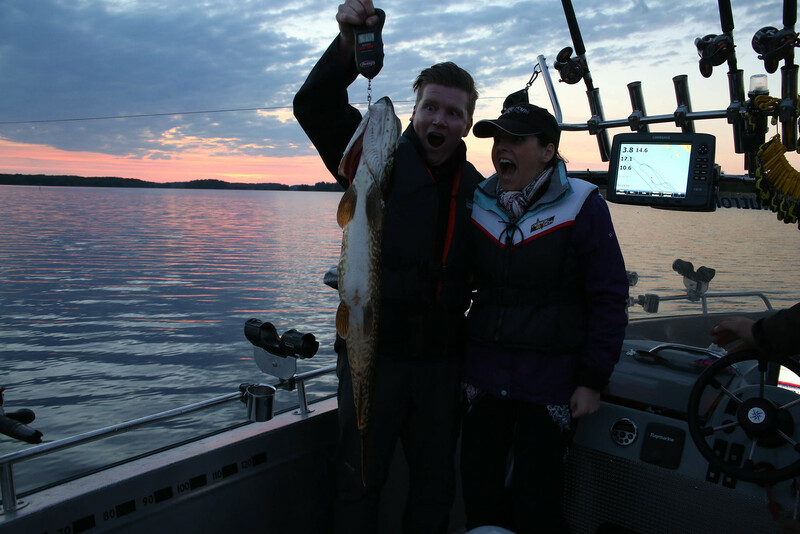 Our midnight sun fishing trip, arranged by Rock and Lake (in conjunction with Kalaxi Fishing Oy), was the absolute highlight of our visit to the area, so we wouldn’t hesitate to recommend a trip to anyone! The short answer is yes! From Helsinki, it is a straightforward 3 hours (approx.) drive to the Rock and Lake cottages (however we came from the archipelago area near Turku which takes around 6-7 hours). The directions provided by host Jenni for the last section of the drive were great and brought us directly to the cottages with no issues. We opted to take a hire car and found it very easy to drive around due to the quiet and safe roads. We found drivers to be patient and the roads were clearly sign-posted with speed limits. There were also plenty of service stations to make stops and buy groceries for the cottage (ABC stores are open 24/7!). You can also hire an automatic car if you aren’t confident in driving on the right hand side of the road. 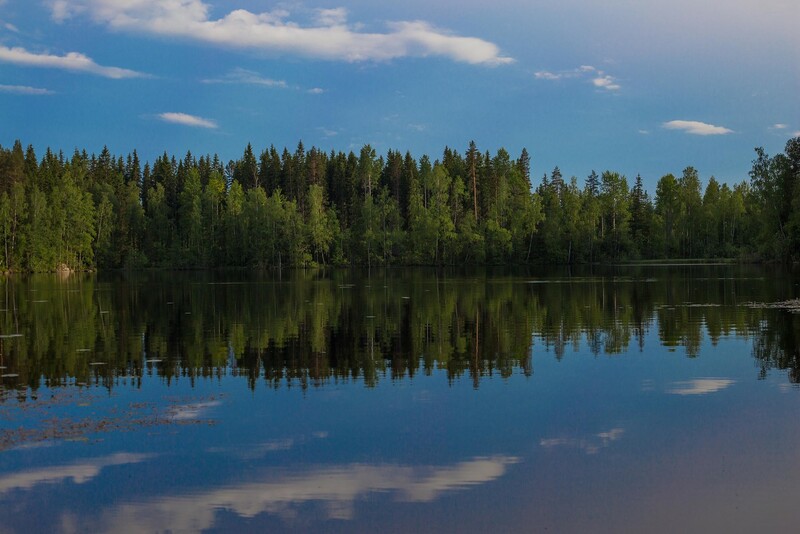 Note: We were guests of ‘Rock and Lake‘ in conjunction with ‘Visit Finland‘, however all views expressed in this article are our own and this is an honest account of our experience. You can read our other articles here. On can get any foto to look like that when you adjust saturation and clarity high enough in PhotoShop. Wow thanks for the comment Auvo, you must be really good at photoshop to make ANY photo look like this! For the record the sunsets were just as spectacular as you see in the photos.